Cold laser therapy gives off red, low-light wavelengths and is often referred to as low level laser therapy (LLLT), biostimulation (BIOS), or infrared light therapy. It has become a popular option in athletes and people with chronic pain because of its ability to treat inflammation and speed recovery time in tissue. The name “cold laser” has be adopted because the energy density level emitted is low and doesn’t produce any heat. When the laser is applied to the skin, the laser cannot be felt and is not painful because, again, there is no heat. It penetrates tissues eight to ten millimeters in depth, which allows for healing in a simple, topical device. Increase energy production at the cellular level. Stimulate the lymphatic system for toxin removal. Stimulate collagen production for skin and joint health. Balance the effects of oxidative stress. 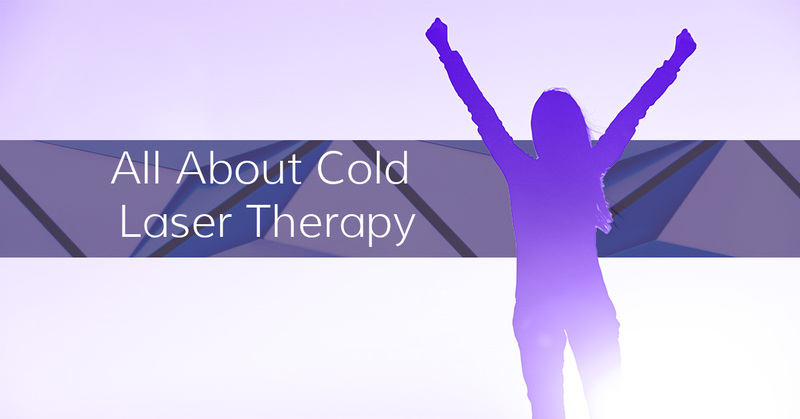 Why choose cold laser therapy? The wavelengths emitted from the cold laser had been shown to greatly assist in tissue repair and slow-healing wounds by regenerating cells within the skin’s structure including fibroblasts and keratinocytes. Cold laser therapy is also helpful in people who suffer from acute or chronic pain, which can be a great option for people who want to avoid pharmaceuticals. The cold laser has no associated side effects and offers a significant improvement to joints and musculoskeletal health quickly after the first treatment because of its inflammation modulating properties. In addition to treating physical issues, cold laser therapy can also address mental health issues such as depression and fatigue, working with the nervous system and adrenal glands. If you’re interested in trying cold laser therapy for increased immune health, chronic pain, or wound healing, contact our office today to schedule an appointment! Dr. Eshanov Chiropractic focuses on much more than just neck pain and low back pain; we focus on your overall health! Do not wait, make an appointment with Dr. Eshanov today; great health awaits you! Dr. Eshanov's chiropractic care utilizes the latest technology and tried-and-true methods to get the optimal results for every patient. We also offer non-surgical spinal decompression, cold laser therapy, and physical therapy. SAME DAY APPOINTMENTS AVAILABLE. SCHEDULE NOW!